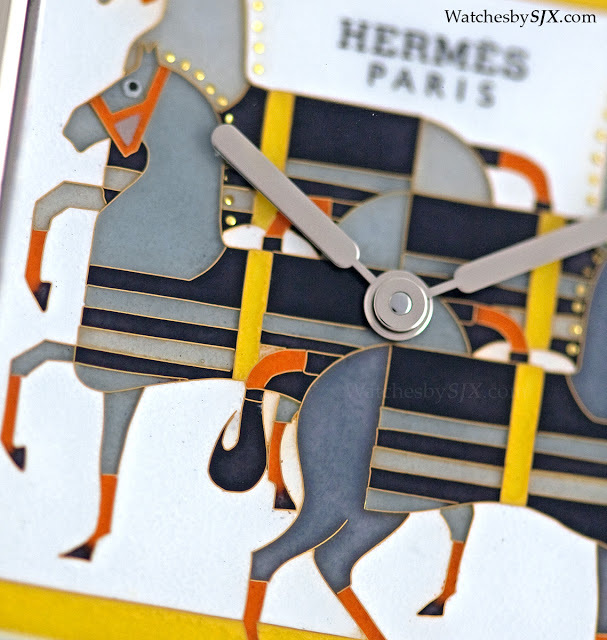 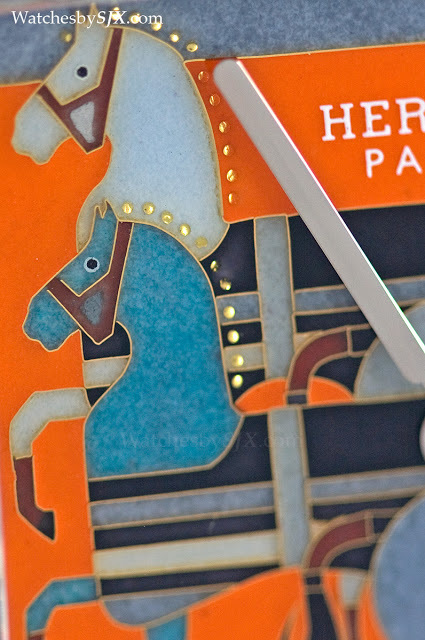 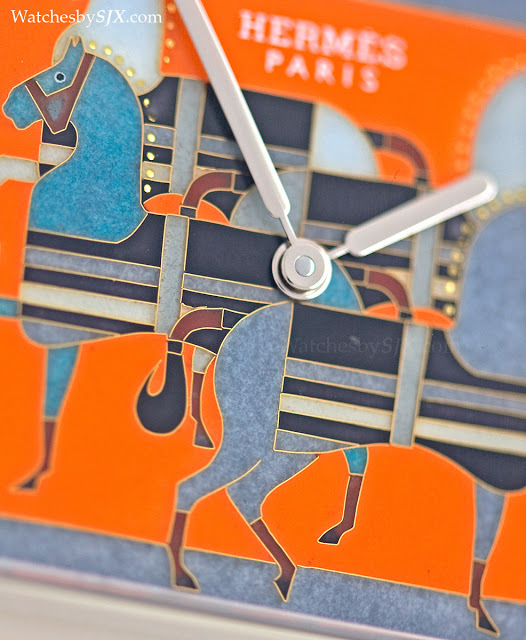 Hermès commission Anita Porchet to create a series of enamel dials inspired by a silk scarf. 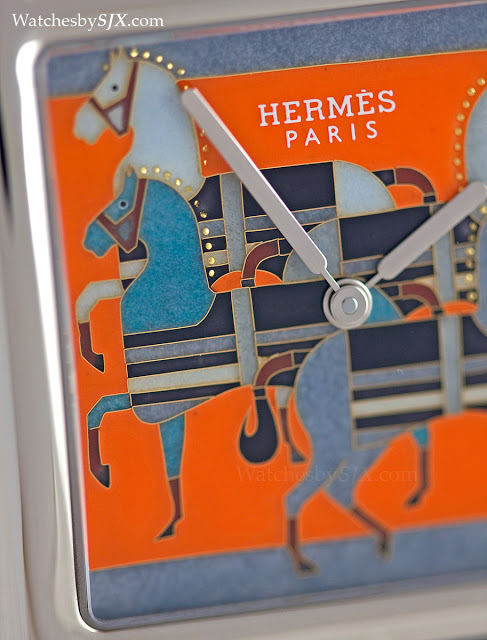 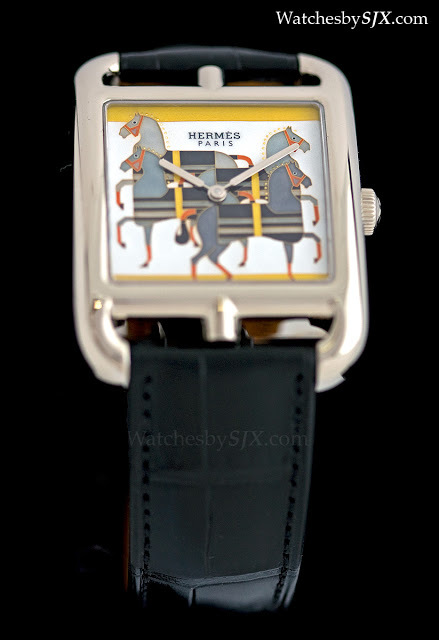 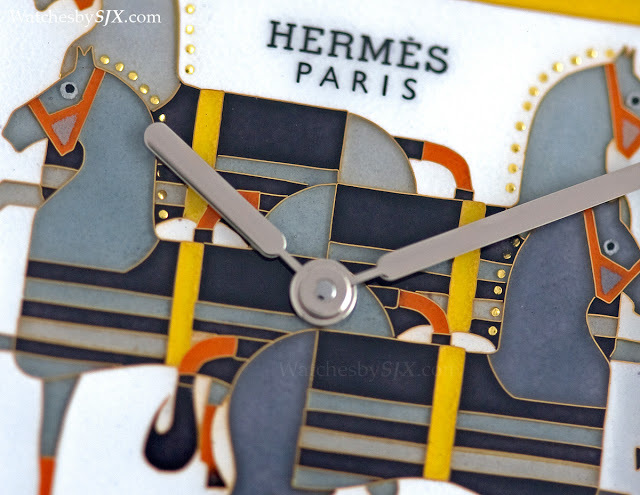 For the most recent edition of its métiers d’art timepieces, the Cape Cod Rocabar, Hermès turned to none other than Anita Porchet, one of the most accomplished enamellists in Switzerland. 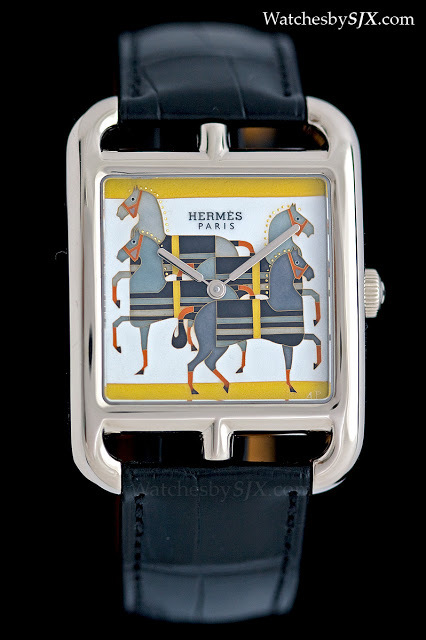 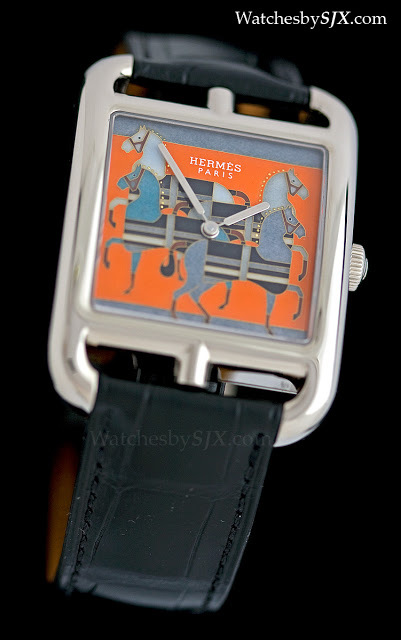 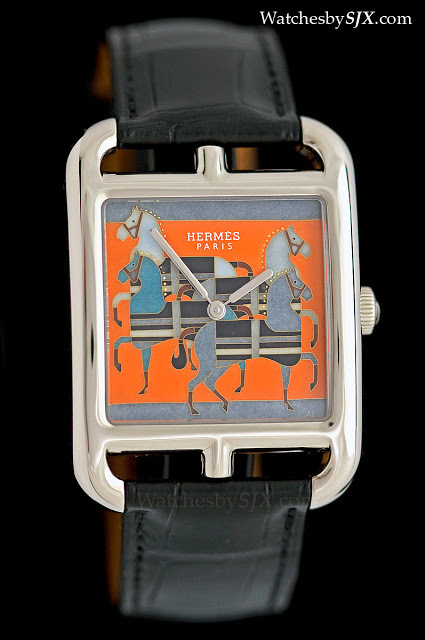 Her work here draws on the motif from the Hermès “rocabar” scarf, which depicts stylised horses on a geometric background. 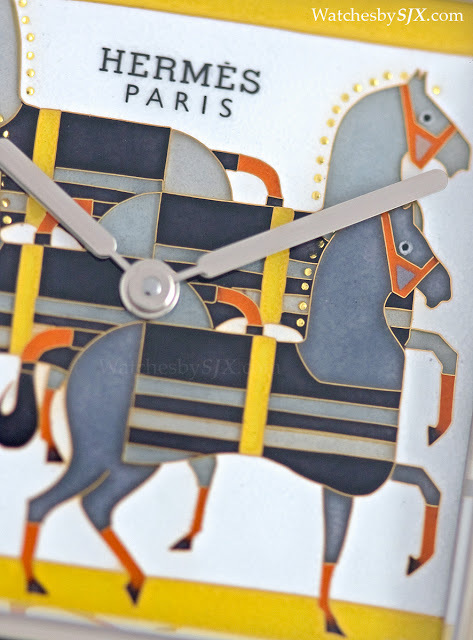 Created using the cloisonné and paillonnée enamel techniques, the “rocabar” dials appear simplistic at first glance, but they reveal a remarkable level of detail and craftsmanship upon closer examination. 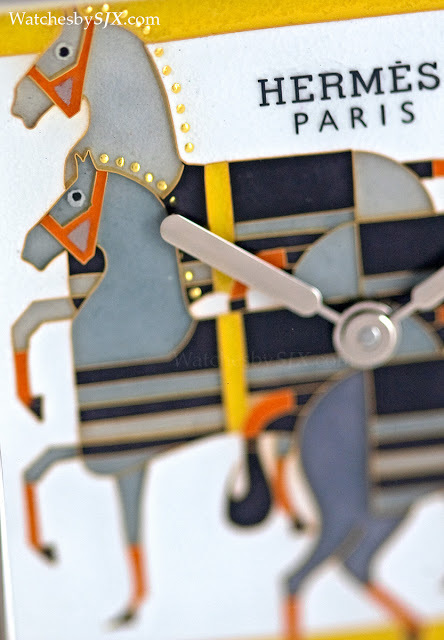 Each horse is formed from fine gold wires, the intricacy of which can only be appreciated with magnification. 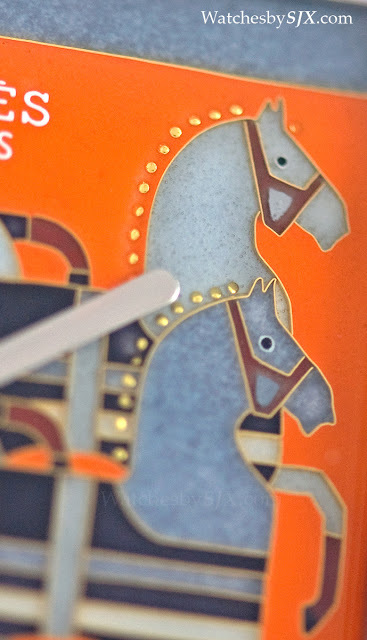 The colours are vivid, rich and nuanced up close. 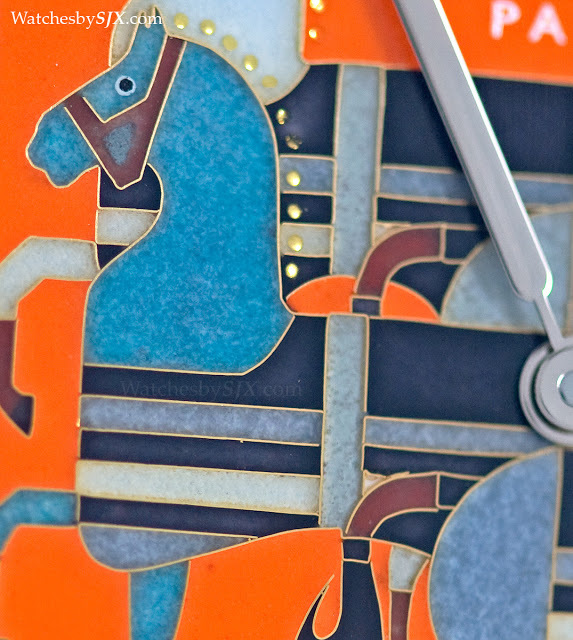 And the enamelling is near perfect – which is as good as it gets since by definition enamel cannot be flawless – with a glassy, smooth surface. 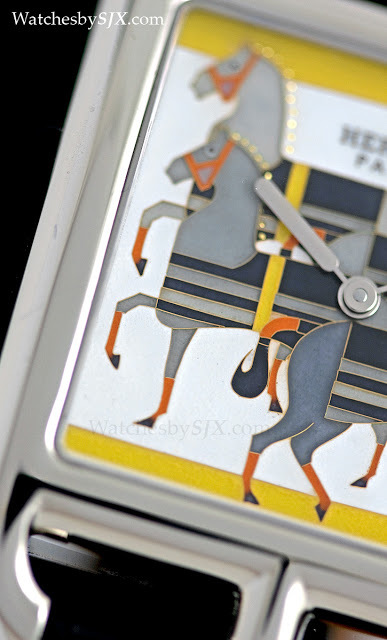 These are truly great enamel dials.